Saturday Night Out with the Family at the Travellers Rest Nottingham. Every December we usually head out for a family meal to celebrate my sister-in-law's birthday although this year we've had to bring it forward due to other commitments for us all throughout December. 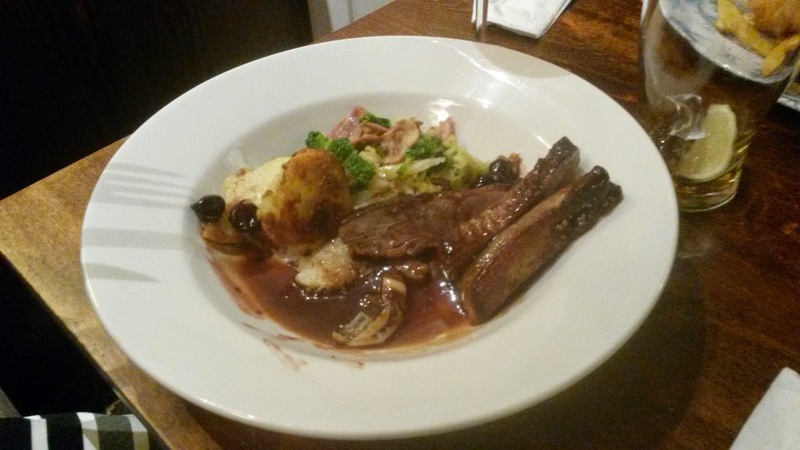 Her choice this year was the pretty local option of the Travellers Rest, on Mapperley Plains which serves hearty pub-grub with a mixed selection to aim to satisfy everyone’s palate. We’ve been visiting the Travellers Rest for years although we’ve had a rather tempestuous relationship with the pub. In reality it was a gastro-pub before anyone even thought of the word. Its location is well out of the way of the populated areas of Arnold and Mapperley yet a short drive away meaning unfortunately there’s always going to have to be a designated driver amongst the party. We all went for various different things for starters but there were visually two real standouts. 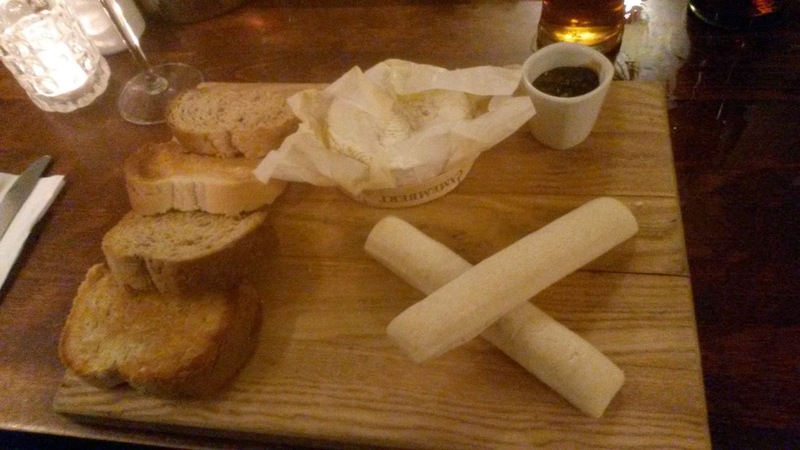 Baked Camembert and the Butchers Platter. 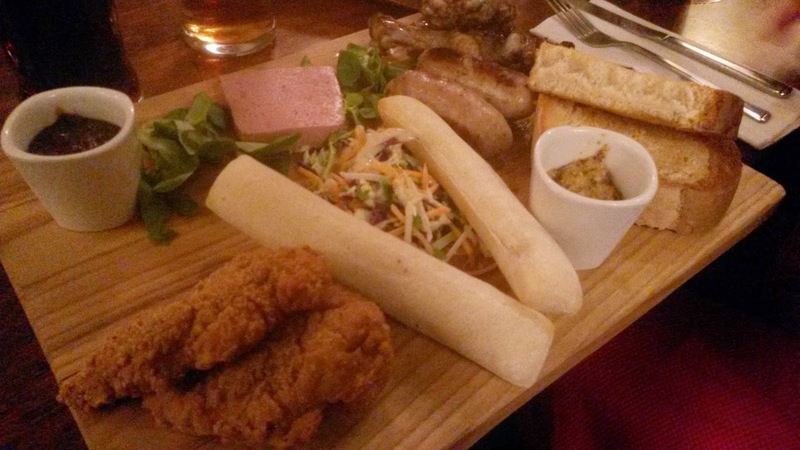 With the appearance of our big sharing platters it almost put the rest of our starters to shame. When compared to the individual pate starter which only consisted of a small part of the sharing platter The Farmhouse Pate (£4.99) represented very poor value when compared to the butchers platter and even came out with bread which barely classed as toasted. 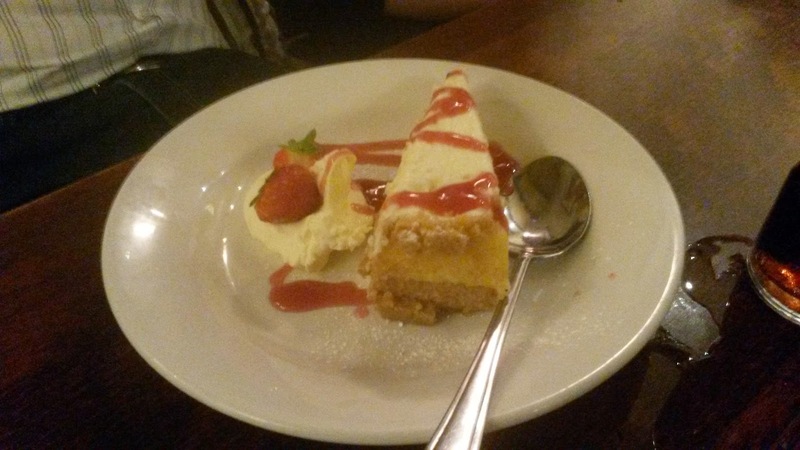 For our main meals we all went for something different across the menu. 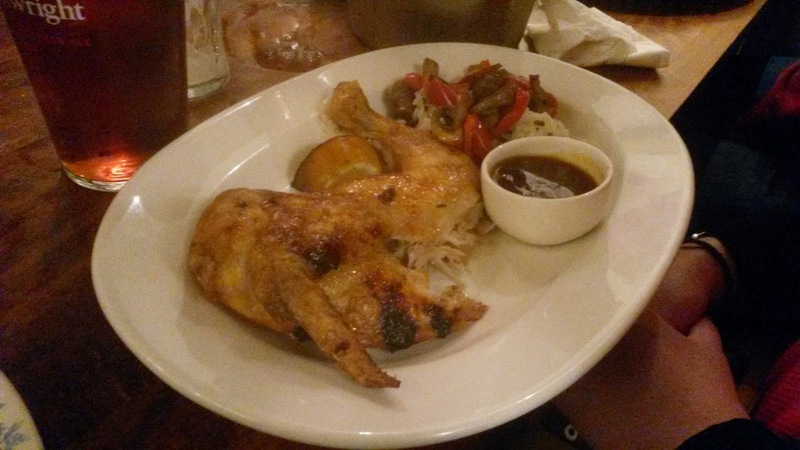 The ½ honey and lemon chicken (£10.49) was lovely and moist with a decent sized portion. (Far better than when we had similar at Bill’s). The honey and chipotle chilli sauce added a little zing, whilst the mix of white and wild rice was well cooked and fluffy. Dad was perfectly happy with his “Whale” and Chips. 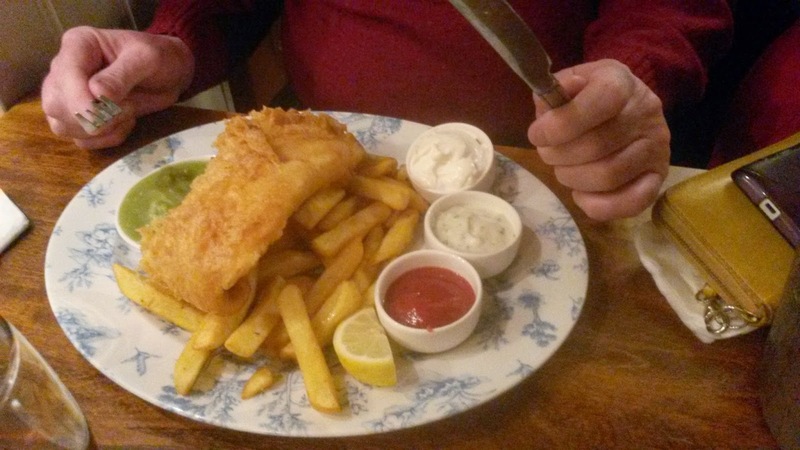 The Hand-battered Cod and Chips (£9.99) is a classic my dad shoots for again and again. It’s hard to go wrong and for a man for whom a good meal is a big meal, dad was perfectly happy. "Whale" and Chips as dad calls it. Mum loves her meat of the feathered variety and has a sweet tooth so opted for the Pan-Fried Duck in Cherry Sauce (£13.99) which looked fantastic in the bowl. She had asked the waitress for it pink upon ordering but it came out more medium cooked than had requested. Despite this she did feel it was a fantastic meal and loved the black cherry and red wine sauce. 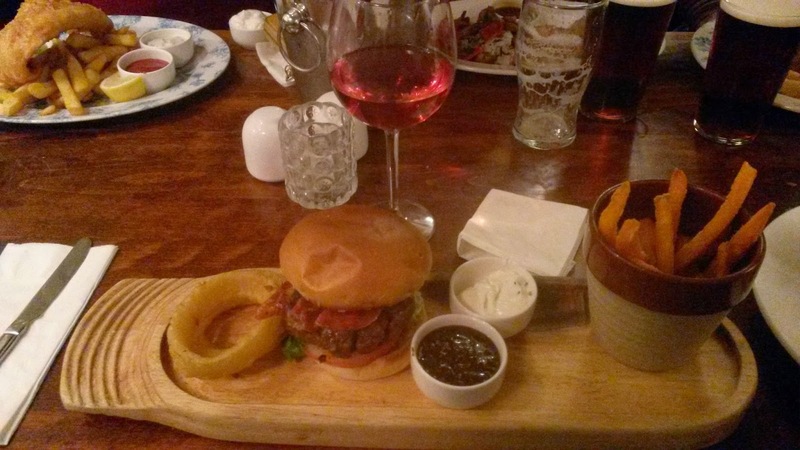 My option was the Steak Burger with Pulled Pork (£10.99) in a lovely soft brioche bun. Personally my burger was a real let-down. 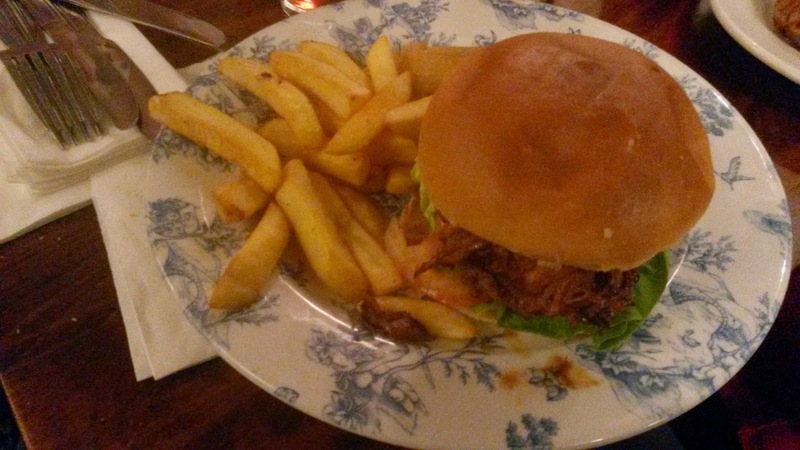 The steak burger was ok but the pulled-pork topping was very much on the dry side and wasn’t falling to pieces easily like you’d expect from some tender slow-cooked pork. The menu stated it would be sticky barbecue and ale pulled-pork but instead I just got some dry pork with some barbecue sauce on the side. To add to my disappointment my chips were also somewhat undercooked with hard sections to them. I would expect restaurant chips to be nice and fluffy in the middle with a lovely crisp outer and whilst some of the chips made this grade, as a texture eater I felt they really detracted from the meal. I certainly wouldn’t recommend the dish personally if it’s usually cooked how it was for me. As a family we all have very sweet teeth and love sugar so if we have the option of dessert there's no question on whether we're going to have it or not. 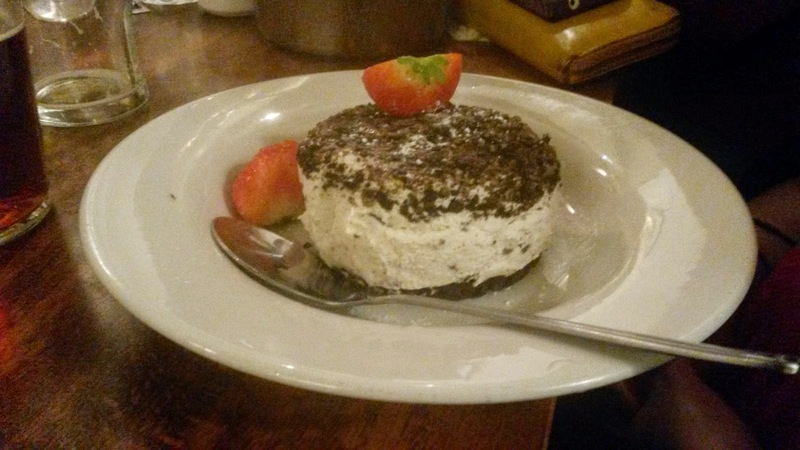 The most enticing looks wise of our desserts selection was the the Oreo Cookie Sandwich (£5.49) which consisted of a chocolate biscuit base and top, with a thick vanilla cream filling which made it definitely a Liam dessert. Sweet and packed full of cream. 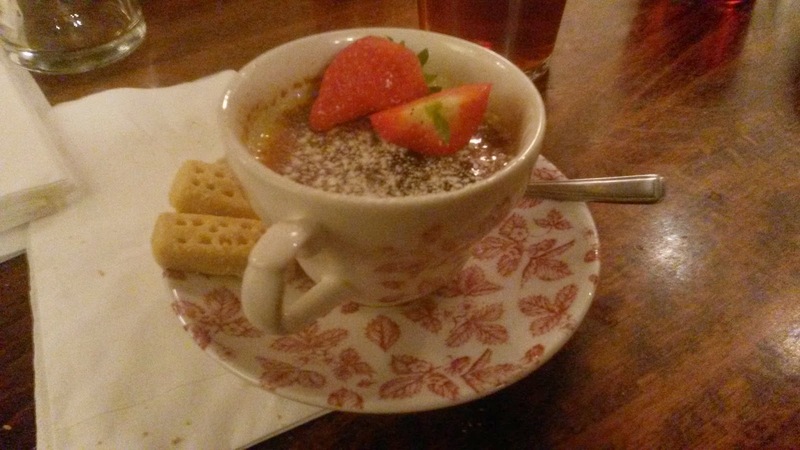 My personal choice was a slightly bland tasting Creme Brulee (£4.99) which while not packing the sweetness and creaminess I would have usually liked (It was more like custard than cream) It looked fantastic served in a teacup but it seemed that presentation was more a priority than flavour especially with the added obscenely tiny shortbread biscuits. 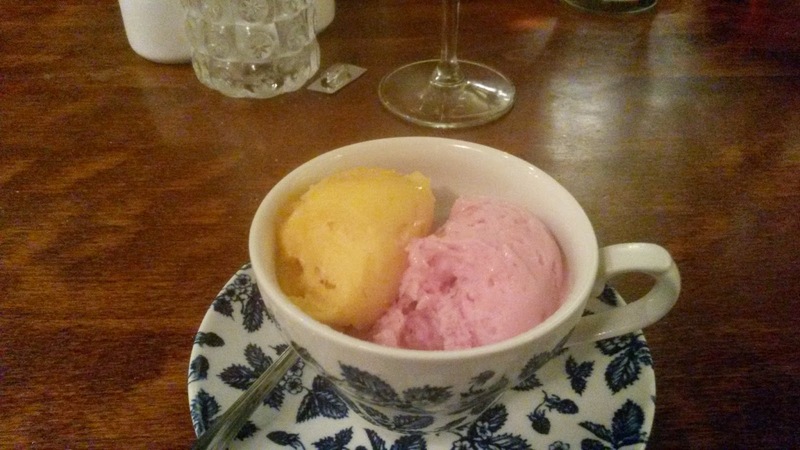 The sorbet selection also came in a lovely little mug with a beautiful zing. 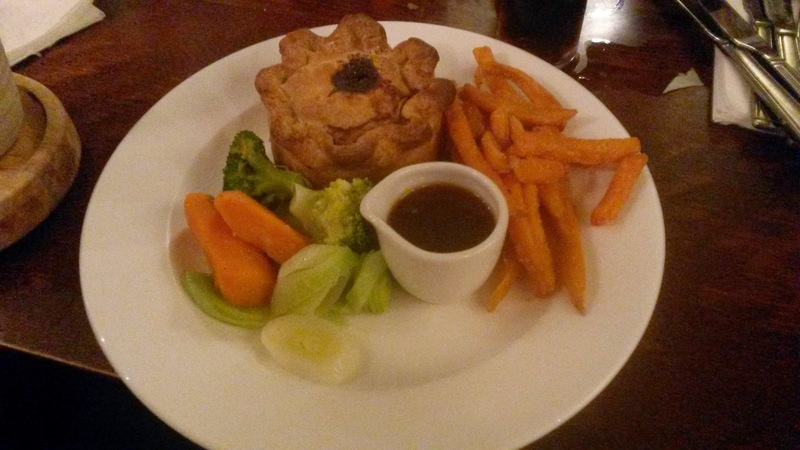 Have you been to the Travellers Rest, Nottingham? What did you think?